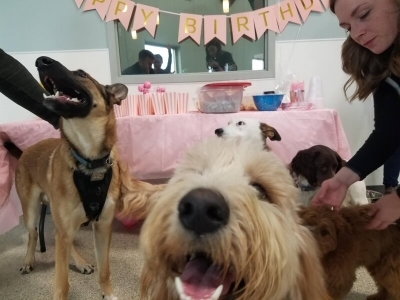 Dog Day Getaway Apple Valley offers a dog daycare facility that caters to your dog and other dogs throughout the local South Metro Twin Cities, MN area. You will enjoy bringing your dog here in the morning and watch as they take off with their tail wagging. 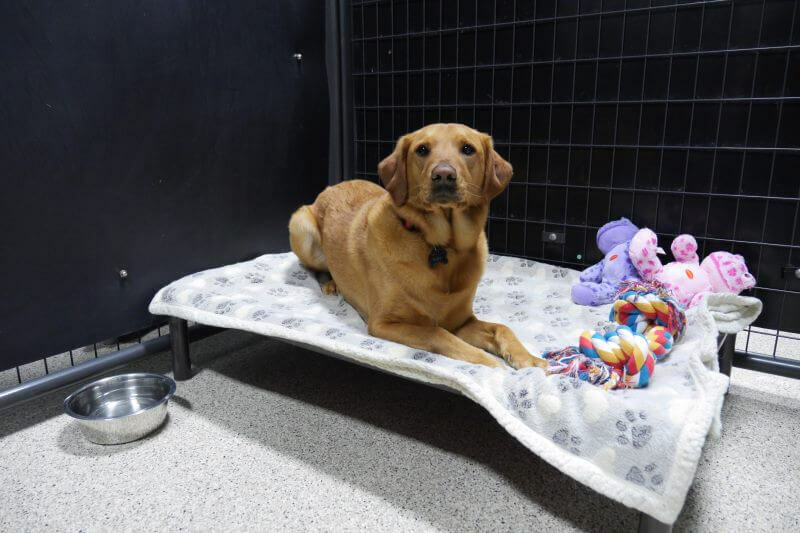 Providing service for dogs (and their families) all throughout the Twin Cities, we want you to feel comfortable and confident in our experience and our facility. 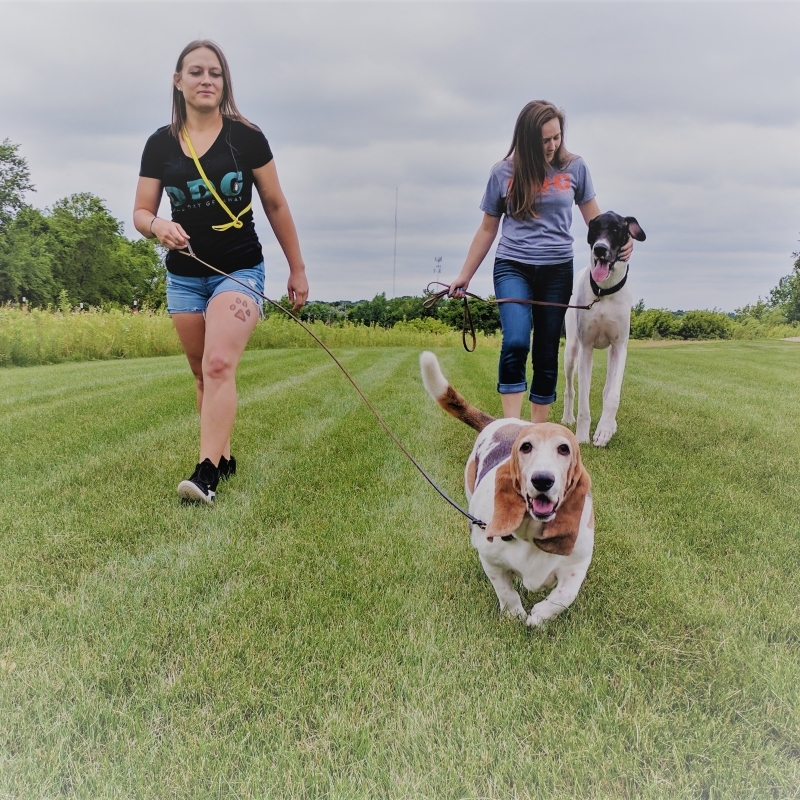 Dog Day Getaway isn’t just a “place to keep your dog” while you’re gone, it’s a full service opportunity for your beloved pet to run, socialize and have fun with their four-legged friends. Break out the Bubbles, We’re Going In! Let’s be honest, our dogs can get into some really stinky situations. From rolling in whatever that “dead thing” is in the backyard to picking fights with the occasional mud puddle, they’re all about getting dirty. While it’s great to wash your dog so their coats smell and look amazing, it’s also important to keep the sensitive skin underneath clean and clear. 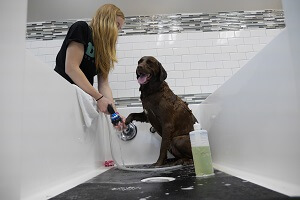 Check out our Dog Bathing and Self Wash Services! At Dog Day Getaway, we know how difficult it can be to leave your dog behind when you have to leave on a business trip or to take a vacation. 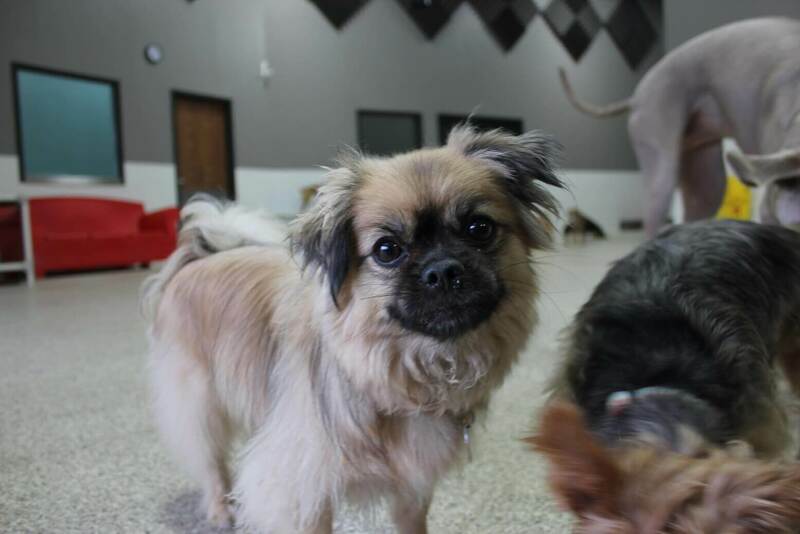 With our Dog Boarding facility, they will feel completely at ease as if they are at their 2nd home! Sleepovers Made Fun! Join a Dog Day Getaway Dog Playgroups and you’ll really get to see your dog’s personality expand and grow! 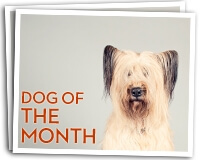 The DDG team cares about your dog as much as you do. Which is why we’re offering a 15 minute dog walk to our boarders and full-day daycare guests. Dog Day Getaway is ideal for holding a meet-up, class, ceremony or special event. Our DDG Event Room Rental Space is approximately 800 sq ft and can be equipped with several tables and chairs. DDG can accommodate your groups needs and is a convenient, peaceful location right here in Apple Valley. The Event Room is perfect for an intimate gathering, dog meetups, group meetups, school functions, girl/boy/cub scouts meetings or any social or business function you may have. Why meet downtown to fight for parking and the crowds? Our Apple Valley event room offers enough space to host your group meeting and affords enough free parking in our private lot.